Emmett Hayes hoped his over two-mile metal detector scan of the desert in Needles, Calif. would yield something, but he didn’t expect to find an odd piece of metal underneath the sand 10 years after the not-so-publicized Needles crash occurred. The Needles crash mostly remains as an underrated incident. Hayes was able to interview people in the small desert town that borders Nevada, and believes the post-crash military presence was effective in quieting the people of Needles and “encouraging” them to forget about the whole thing. Hayes ( a UFO researcher and podcaster) was tipped off by a local with coordinates that would take him to an area the crash happened not too far from the Nevada state line. 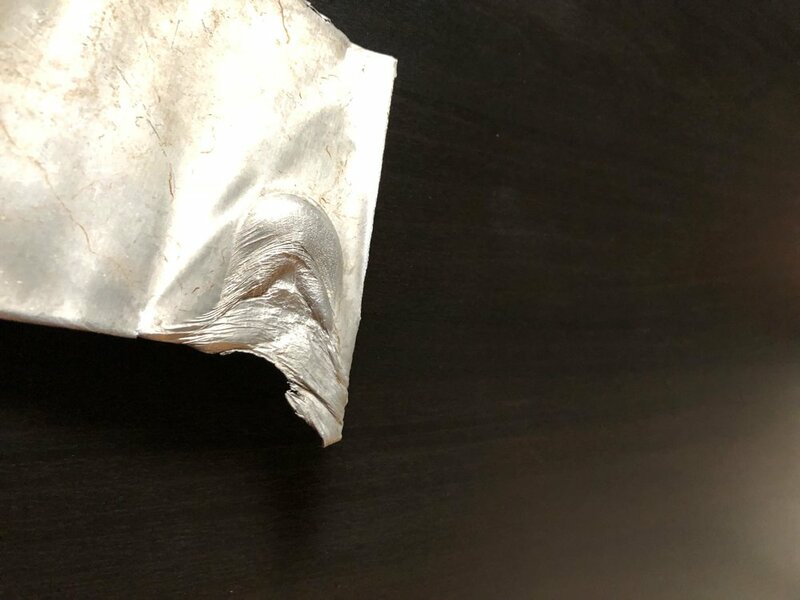 Since finding an odd piece of metal, which appears aluminum in nature, Hayes’ story has only be shared on his podcast UFO Bros.
Hayes revealed his piece of wreckage during a TV pilot taping that I was a part of. The piece of metal does corroborate what with how a lot of others have described as crashed UFO wreckage. The next step is to get it tested, which Punk rock and UFOs hopes to facilitate soon. One of the panelists on the show was famous NASA astronaut Scott Kelly who said the piece of metal definitely came from the sky and very possibly from space, due to the wear and tear of the alloy, but didn’t rule on exactly what is it. Feeling the piece of the alleged UFO it does have that aluminum look, but the texture and dexterity is hard to judge especially with the trauma left on the piece of metal. Below are the photos of the object that have never been seen before.